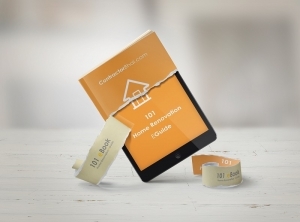 101 Things Most Contractors Won’t Tell You :- An Insider’s Guide to Renovating Homes, Avoiding costly mistakes & SAVE MONEY. “101 Home Renovation Guide” helps you crack many tough decisions even before you have started Renovation. 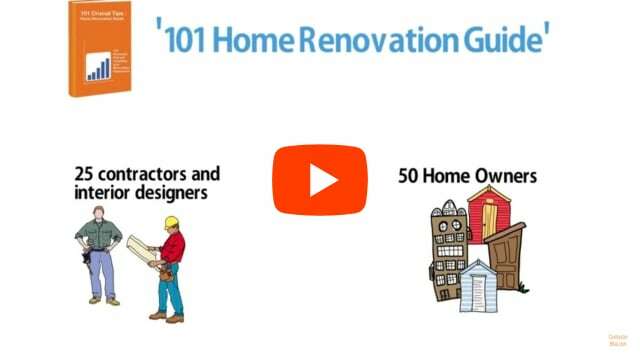 Most of the points mentioned in this Guide will hit You in middle of Your Home Interior project, when You are least prepared for it. Now also receive “White Goods Lists” : list of 50 household items you should consider before planning Home Interior. Most Home owners forget these items before planning Home Interior & this leads in to costly mistakes. I must have spend hours in collecting information over internet & talking to contractors. This EBook beats all that. I have actually implemented 2 things differently in my home because of this EGuide. I am really Thankful to team. Highly recommend the book. I renovated my Home. Found 20-30 Points from this EGuide useful. My Contractor has given lot of advice, but this guide was all worth it. Tips are presented in Quick & inspiring way. You definitely need to go through these points before you start spending all that hard earned money in renovation. Who should buy this E-Guide ? In every Home Interior project, for Every 1 Lakh rupees spent, about Rs 3500 is Lost. Either you were not well-informed or it was overwhelming to take decision in middle of the project. We spoke to 100s of Home Owners & many contractors and compiled a list of things that can go wrong. If you are someone who wants to bring change to this situation, this Book is for You. I am not sure if this book will be useful to me ? Have you spent few minutes on ContractorBhai.com ? Did you find it useful ? If your answer is ‘Yes’ then you will find this E-Guide 10 times more useful. Will I get hard copy of this Book ? No hard copy. This is an EBook. It is 50+ page EBook you can read it on any computer or mobile device.